If you own a small craft such as a fishing boat, a rowboat or motorboat, you may wonder if small boat insurance is really necessary. However, you definitely want to have insurance on your small boat, despite its size and relative propensity for accidents. As with most insurance, it’s only when you don’t have coverage that you really appreciate how vital small boat insurance can be. One of the most important reasons for having small boat insurance is the liability coverage. Even the most careful boat navigator may have an accident from time to time. Additionally, a boat pulled up to shore may leave shore accidentally and collide with another vessel. Liability insurance covers the other person’s boat and property in the case of an accident caused by your own boat, either through your negligence or through an act of nature. Without small boat insurance, you are either liable for these losses yourself, or your homeowners insurance must pick up the tab. With marine specific coverage, you will certainly be covered for any boating accident that was your fault, and you will have adequate coverage limits. Marine policies for small boats also provide personal injury protection and medical benefits, often with higher limits than a homeowners policy. 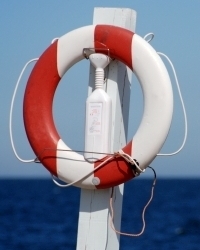 Those with small boats often choose liability only policies. You can purchase physical damage insurance coverage for your small boat. This can be a good idea, particularly if you use your boat in areas where it may get dinged, nicked or scraped by natural items rather than other boats. If another boat damages yours, you may be able to collect from them through their liability coverage. However, if trees, rocks or hail damage your boat, then you’ll need to have damage insurance in order to recover any losses. You may want to purchase a rider for machinery and extras with your small boat insurance. An outboard motor or inboard motor, trailer, towing, and waterways insurance may be included in a comprehensive small boat policy. If you buy full protection for your small boat, be sure to add any riders that you may need. For example, if you use your boat out of the country (in Canada or Mexico, for example), you will want to be sure your policy covers you in international waters. When you use your small boat primarily for fishing, you have a variety of specific concerns that other owners don’t have. You will want a policy that adequately covers your specific concerns. For example, expensive fishing equipment is susceptible to loss, theft and damage from weather. As a result, you will want to cover those items. This may require you to purchase a separate rider on your policy. Additionally, you may need to cover inboard and outboard motors and specific risks pertaining to competitions, if you participate in competitive fishing. You may also purchase a rider that protects you from the loss of prize money you might lose if you are unable to attend a competition due to the loss of use of your boat. Small boat insurance is a vital component of small boat ownership that should not be overlooked.